The Rockford region is blessed with some amazing restaurants, from long-time favorites like Lino’s for pizza and pasta, to neighborhood stops like Lydia’s Café for great breakfasts and lunches, to hidden gems like Behr Den, to newer favorites like Tavern on Clark. Our comprehensive restaurant listings let you discover your new place to celebrate or take a date or simply grab a quick bite with a friend. Need a hotel for your in-laws? We can help you find that! GoRockford.com has an all-new direct booking tool that allows you to look at all of the hotels in Winnebago County at the same time. You can compare prices, look at customer reviews and find which hotel works best to meet your needs – whether that is your in-laws who love a great continental breakfast or family/friends who need a pool to entertain their kids. Or maybe camping is how you roll … we also have a list of all the great places you can sleep in the great outdoors. Looking for Things To Do? We’ve got more than you can imagine! Even if you have lived in the Rockford region your entire life, we guarantee that you will be amazed at the amount of Things To Do in our region. We have easy-to-navigate sections that highlight everything from family fun to outdoor adventures to museums. 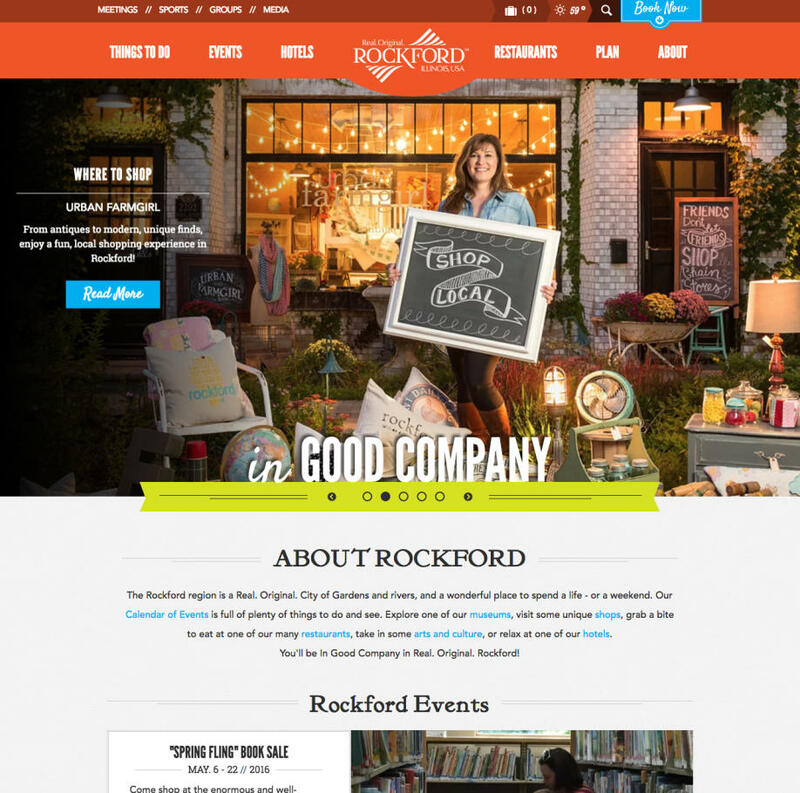 We have added a page to help you explore Rockford’s nightlife, created a list of upcoming community running events and races for all skill levels and highlighted some great shopping and spa locations, as well. The new site features a fun new feature that allows you to take part in the storytelling of our region. All you have to do is use #gorockford when posting to your favorite social media site (Facebook, Instagram, Twitter or YouTube) and your content will be showcased on our homepage’s GoRockford Social Hub to help tell the world about our region (and don’t worry, all posts get filtered so no one does anything silly). And, our enhanced blog section will shine a spotlight on our favorite aspects of the community. Our guest bloggers will help you discover new and exciting aspects of our great community to explore. We hope you check back daily to see what new content is inspiring your fellow community members each day. The new site is fully geolocation capable to make your map use even easier. As long as you let your computer, smart phone, or tablet device recognize your location, our geolocation guide map will show you what attractions, restaurants and events are nearest to you, no matter where you are!